Gravity casting process is the way of pouring molten aluminum into mold by hand (Traditional casting ) compare to die-casting process by machine. This casting process is difficult to produce in large q’ty & required both advanced technology & craftsmanship. 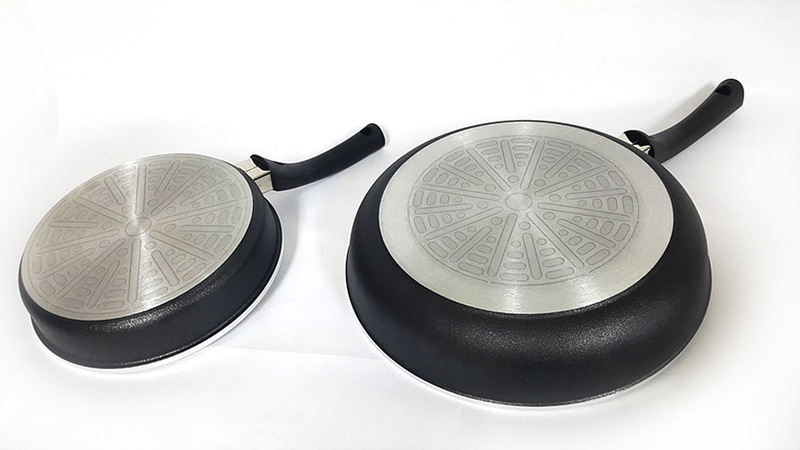 Slow cooling time by gravity casting process forms uniformly molecular structure of aluminum that makes heat distributed evenly so any of hot spot which causes food stuck & burnt will not be occurred while cooking. 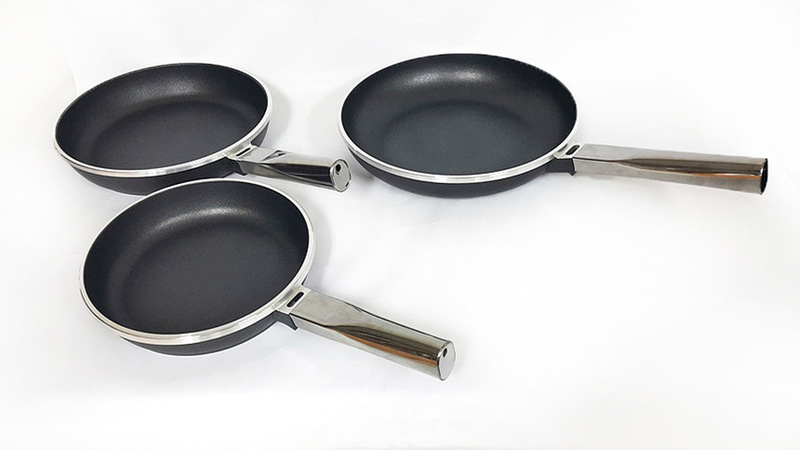 High density & purity of gravity casting Aluminum itself makes heat distribution faster compared to normal die casting cookware. 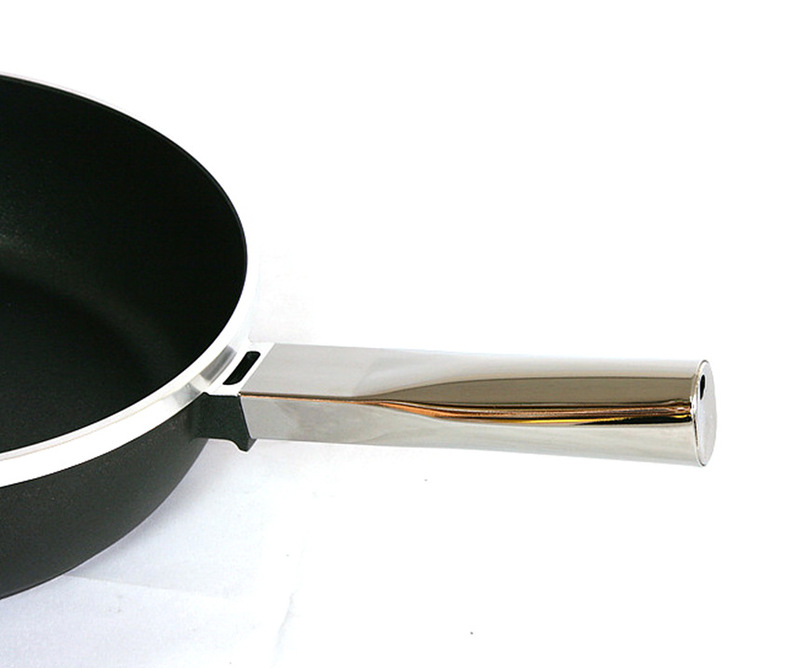 Patent issued permanent stainless steel induction bottom bonding process (Patent No. 0512891). 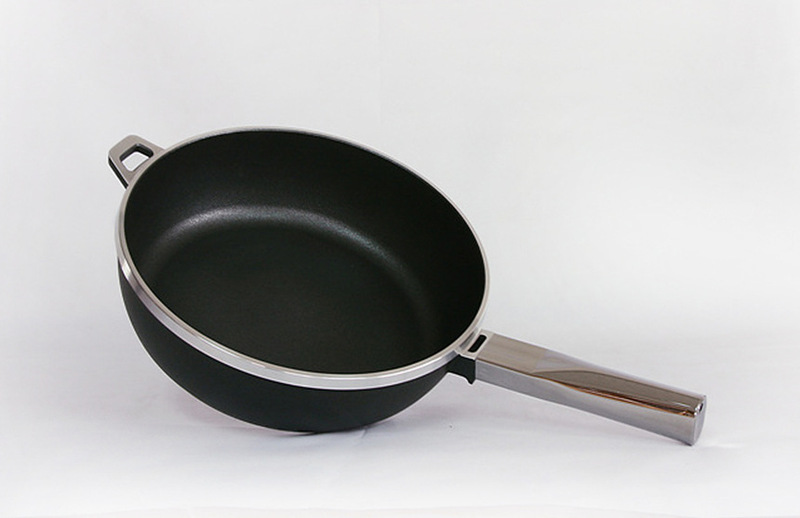 This patented bottom does not make stainless steel disc separated from body & absolutely no bent even while using. Smooth surface by CNC machining. 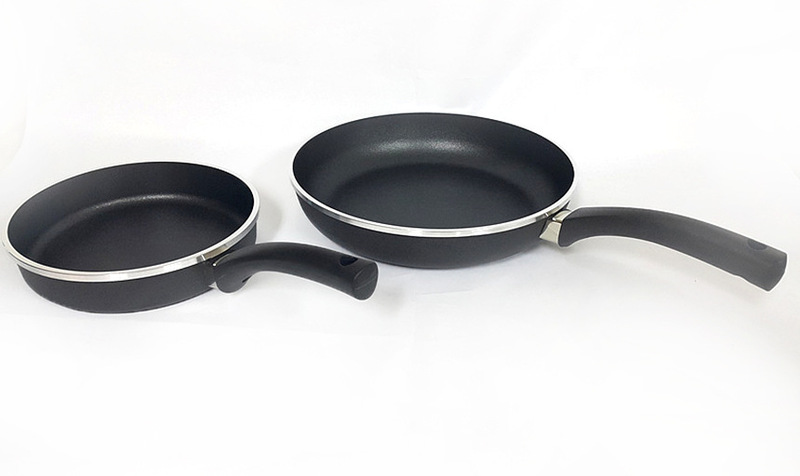 Anodizing surface treatment before coating is required for PTFE coated die-cast Aluminum cookware, especially for boiling or steaming salty water & soup process because die casting material itself is weaker against salty water. 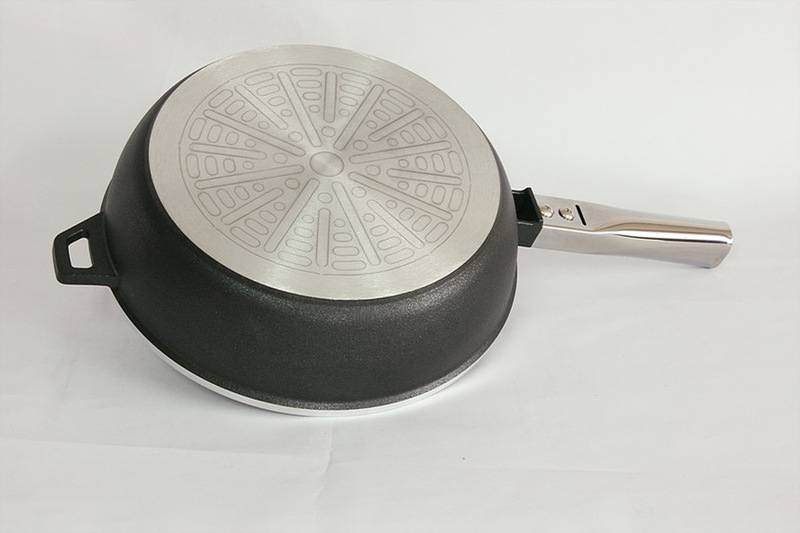 If not, aluminum could get rust (oxidized) & it penetrates coating layers onto cooking surface (It looks like efflorescence in spots and cannot be removed). 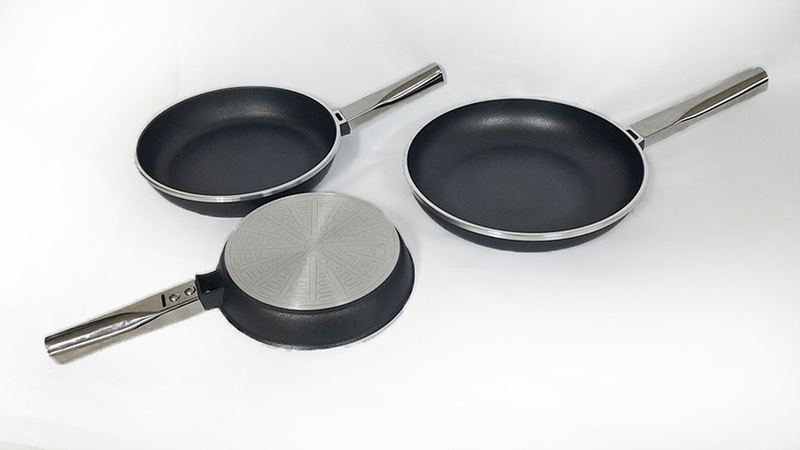 However, aluminum material for gravity casting cookware has high purity so it hardly get rust, which means any special surface treatment is not necessary for gravity casting aluminum cookware. It contains Zirconium & real stone such as biotite, etc. for more durability as well as good for health with far-infrared rays from them. Durability of the coating itself is over 3 times stronger than normal PTFE coating & Blackstone coating passed 150,000 cycles of abrasion test. 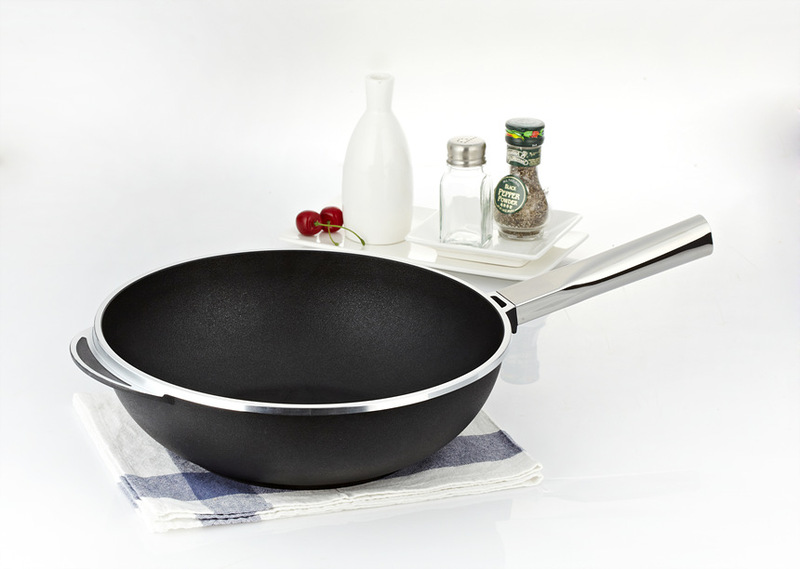 Absolutely no harmful chemicals such as PFOA & any other harmful chemical ingredients. 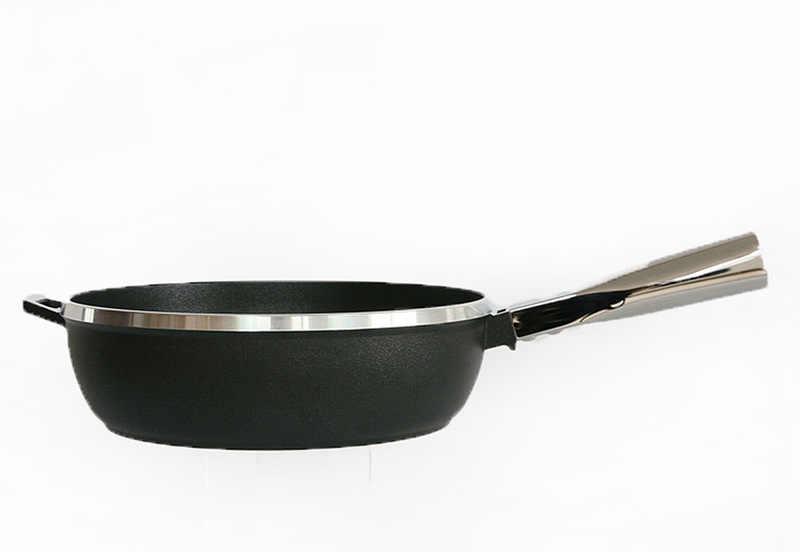 Coating is strictly made from environmentally friendly and non-toxic materials. 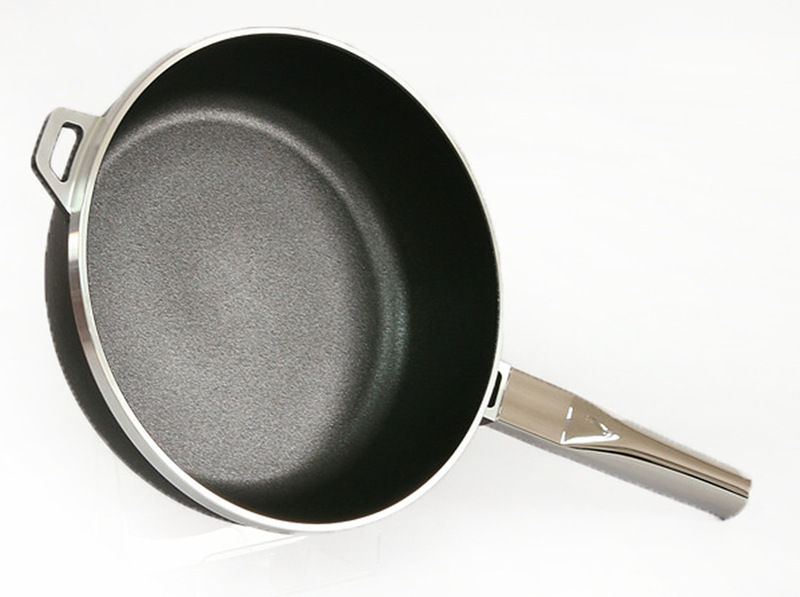 Improved coating that tries to combine durability of ceramic coating & long-lasting nonstick of PTFE coating.